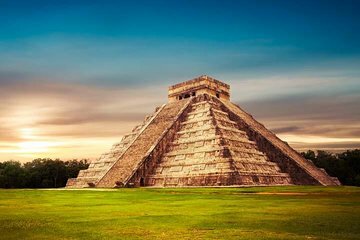 Explore the ancient Mayan city of Chichén Itzá on an all-day tour from Playa del Carmen. After a convenient hotel pickup, travel to this important pre-Columbian ceremonial center to learn about its temples, observatory, pyramid, and ball court from an informative guide. Cool off in the holy waters of the Sutyun cenote before grabbing lunch at its namesake restaurant (included in the tour price). Cancun Bay Tours provided an unforgettable day!! Our tour guides, Viktor and Alex, were knowledgeable, entertaining and hospitable. They both 'know their stuff' and are passionate about sharing the history of the Mayan people and culture. They made the day a thoroughly enjoyable experience!